Custom Engraved Mother’s, Best Friends, or Sweethearts Necklace. Handmade by Epheriell. Engraved with your choice of 2 names, this necklace would be perfect for a Mum (her children’s names), for best friends, or for sweethearts! 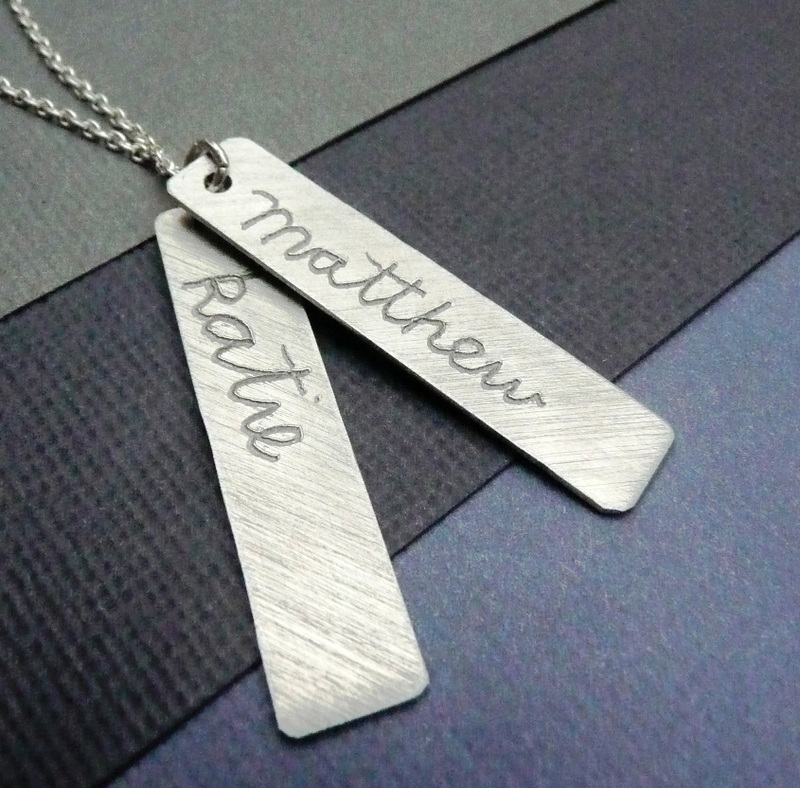 Please make sure you leave the 2 names you would like engraved on your pendants in the ‘message to seller’. They will be engraved in all-lowercase unless you request a capital at the beginning. This necklace is also available with a labradorite drop. The pendants are made from reclaimed aluminium, and are therefore extremely light and comfortable to wear. All other components are recycled sterling silver (so it’s all eco-friendly, too!). These are not commercial pendants – I have hand-cut, finished and engraved these myself. The fine sterling chain is 18 inches (standard length) and is fastened with a hook clasp. The pendants themselves each measure 4cm x 1cm (1 1/2 inch x just over 1/4 inch).